“Mrs. Dominis in a few words stated that she desired to surrender all her claims to the throne, and offered her formal abdication to President Dole in the shape of a document drawn up by Judge AS Hartwell, who was consulted by Mr. Wilson, Mr. Parker and Mr. Neumann about the matter and acted as advising counsel for them”. Paul Rudolph Neumann, lawyer, diplomat, and bon vivant (a person having cultivated, refined and sociable tastes especially with respect to food and drink,) was born in Prussia in December 1839. He came to the United States when he was fifteen, locating in California, where he became a naturalized citizen. He was admitted to the practice of law in 1864 and served in the California legislature as a senator three terms. Interactions with Neumann were typically enlivened by his bubbling wit; while a competent lawyer, he was known far more widely for his love of fun and his wit and bon vivant. Wherever he went, he left behind a trail of his kindly humor and was as full of frolic as a schoolboy. As a lawyer, the partner of Harry Eickhoff, he had a good practice and did not hesitate to match wits with any member of the bar. Often he upset a learned argument with a quick sally, and people followed him into court in the expectation of hearing him turn a point and raise a laugh. But beyond his humor he could be logically forceful and had quite a turn of eloquence. 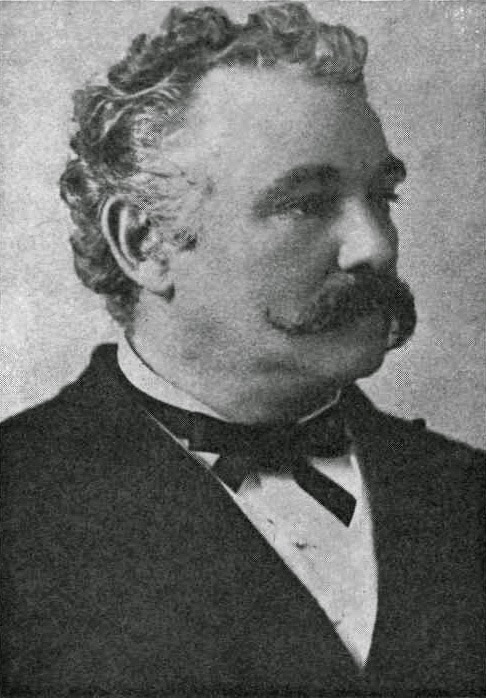 In the fall of 1882 he was the Republican candidate for representative in Congress from the San Francisco district; he was denounced by the San Francisco Chronicle as a ‘sugar-coated candidate’ and a tool of the Claus Spreckels interests. He lost. In public service, he was Attorney General under King Kalākaua (1883–1886) and Queen Liliʻuokalani (1892,) became a member of the House of Nobles, and later became Liliʻuokalani’s personal attorney until his death. In 1884 he went to Mexico as special Hawaiian Envoy; later (1896,) he was Envoy Extraordinary of the Republic of Hawaiʻi to Guatemala. At the time of the overthrow, Neumann went to Washington as the representative of Queen Liliʻuokalani, to oppose the first treaty of annexation and to secure her restoration. He successfully kept Hawaiʻi from becoming a Territory of the United States under President Grover Cleveland by carrying a personal letter from the Queen explaining the takeover – Cleveland interceded with Senate Democrats to stop action on the treaty. (Denson) That changed in 1898 when McKinley took office. The image shows Paul Neumann. In addition, I have added some other images in a folder of like name in the Photos section on my Facebook and Google+ pages.